I learned something new and realized I was wrong. Yes, I can admit when I am wrong…even if I have friends and family that may not believe that statement…For years I have believed that for me there has been a difference between in-line and taper hooks. Some people refer to this as the debate between Susan Bates and Boye hooks, as they are the most popular brands. To simplify the arguments, the inline hooks are like simple tubes with slits at the throat of the hook, while tapers taper down at the throat and enlarge at the head. 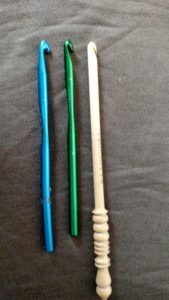 I thought that it was this that made the difference in how I crocheted, but testing out some Brittany Crochet hooks, as showed me I have been wrong all these years. Brittany hooks are inline hooks, and I offered to test them out primarily because I realized that the world is small. In small I mean, that I met the owner of Brittany hooks at a trade show in the Midwest, only to realize in our discussions that we actually went to high school together, a couple of years apart, in my home town in Northern California; that he actually hung out with my cousin throughout school and that we had many mutual friends. 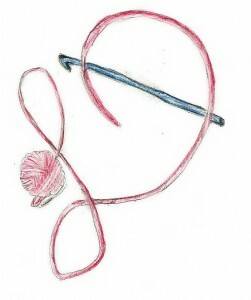 I offered to test out the hooks, as a feeling of this small world companionship, I didn’t realize that I would learn something new and find a great hook in the process. Brittany was happy to have my feedback on my experience with their product, as they want to ensure that they are offering the best hooks on the market. What I learned was that for me it really is not the shaft of the throat that effects my crochet, it is the length of the hook. I use a knife hold when holding my hook, meaning that I hold it the same as if I were holding a knife to chop. I hadn’t really realized it before but the Susan Bates hooks are shorter than the Boye hooks as a result they do not extend past my hand, but instead rest just at the edge of my little finger. When using the Brittany, they had more length than a Bates, and that made all the difference. I found no difficulty in creating the stitches, and I have put these hooks through some test, creating a couple of sweaters and shawls. 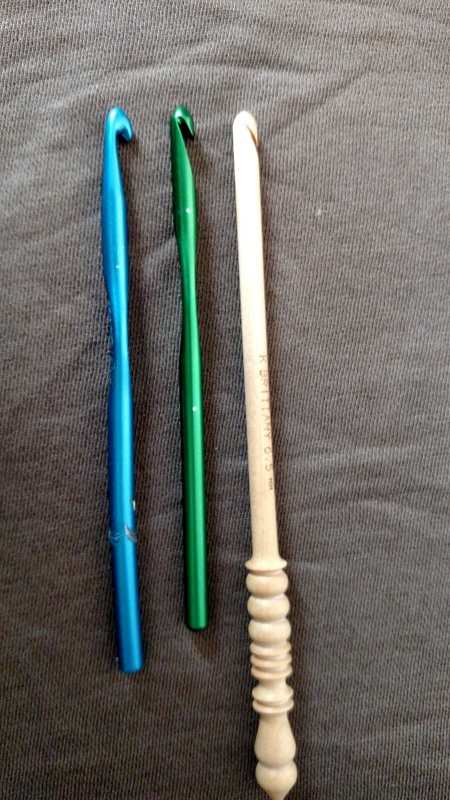 The Brittany hooks were very comfortable to use, not to mention very handsome. They are actually all created by wood sourced in the United States, ensuring that they wood is sustainably harvested. All the hooks are made by a single family, and in a small town along the northern coast of California. 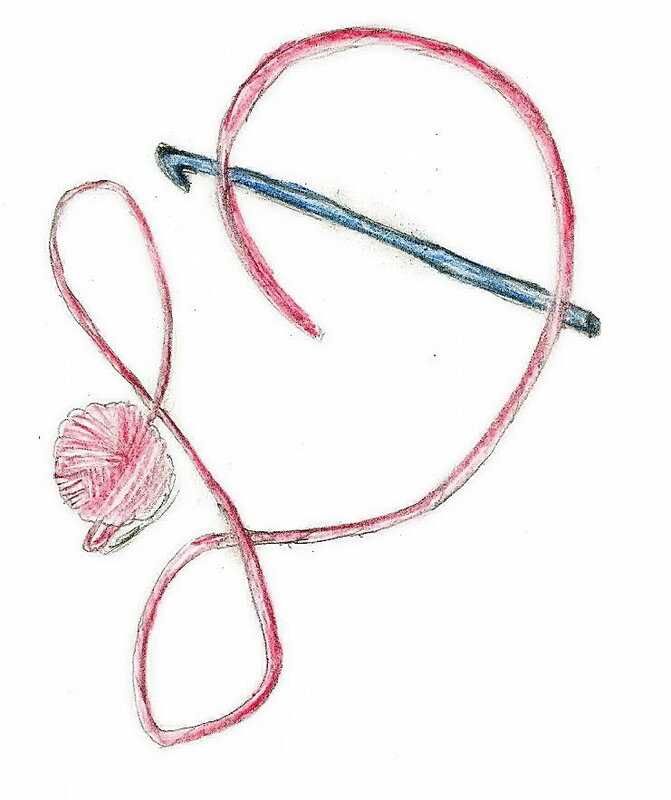 My understanding is that this company grew out of a bit of a challenge; that challenge being creating a knitting needle from a single piece of wood. 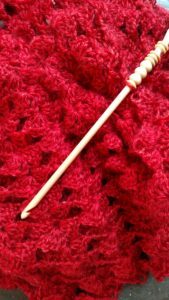 This should not really seem like a challenge, as we have all seen wooden knitting needles before, however these are typically constructed in two pieces; a turned shaft and a stopper at the top. Brittany is actually all turned as one piece. The turning of the shaft is then adjusted to turn a beautiful ending edge. For the crochet hooks there is one other step, which is cutting in the throat. While a machine might turn the lathe, the human hand is evident throughout the hook. Each one is lovingly created and hand finished. The family is dedicated to making a quality product while working by their family values of supporting the environment and their community. It began with a father over 40 years ago and is continued with the son working to support his growing family today. However that thing I find most amazing is how reasonably priced the hooks are. I have found them on-line and in some small local yarn stores for under $10. For a hand worked hook….that is crazy reasonable. Couple with that, that they have an amazing product guarantee…if your hook is damaged in 5 years of purchase, they will replace it, no questions asked. That is beyond reasonable. This makes it a very practical gift to yourself or someone you care for that stitches. I definitely recommend Brittany hooks, and am glad that I decided to give this hook a chance….I learned something new about my stitching as well as found my new go-to hook. This entry was posted in Encouragement, website and tagged bates vs boye, Brittany, Brittany Crochet hooks, Brittany needles, Crochet, crochet hooks, crochet throat, dean, Design, hook, hook shaft, hook throat, hooks, ideas, in-line hooks, inline hooks, inspiration, linda, Linda Dean, linda dean crochet, shaft, stitch, Stitches, taper, taper hooks, throat, Yarn by webmaster. Bookmark the permalink.